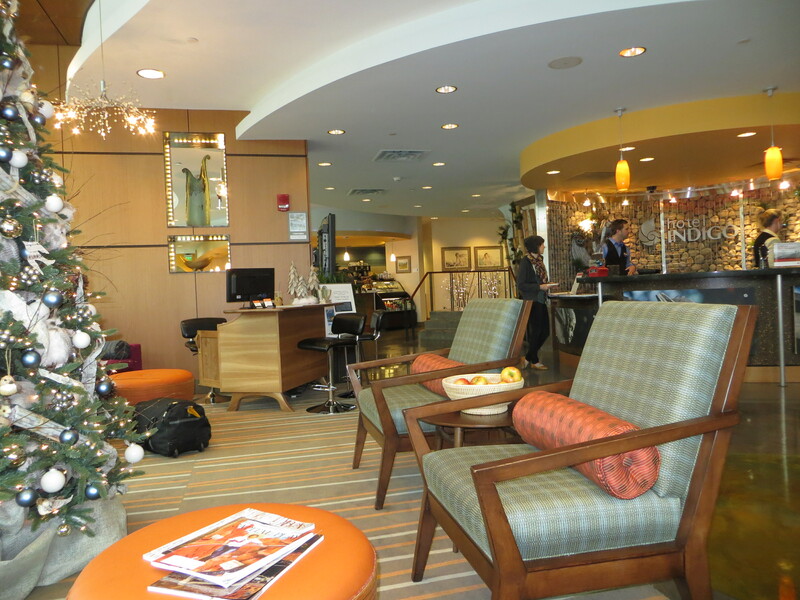 I started planning our pre-Thanksgiving trip to Asheville, NC when I found out that IHG (InterContinental Hotels Group) was slashing the number of points required to book a stay at Hotel Indigo in Downtown Asheville. We had not been back to Asheville since we got engaged in the fall of 2007. This lovely city in North Carolina’s Blue Ridge Mountains deserves a visit in all seasons. So this year, in lieu of our annual winter trip to the beaches of Florida, we bundled up for a weekend getaway in the Carolinas. Although we spent only one night at the Hotel Indigo in Downtown Asheville, we have nothing but good things to say about this property. 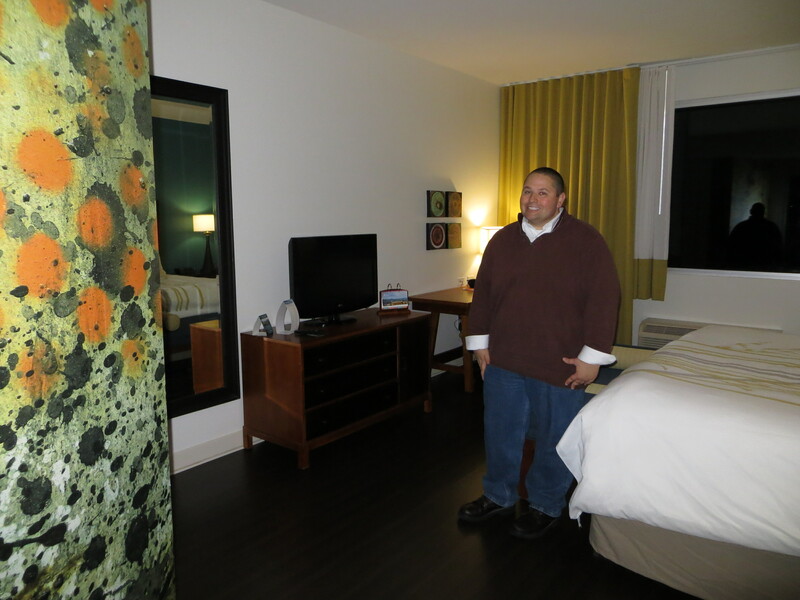 Since we had previously stayed at a Hotel Indigo in Nashville, we knew what to expect from this particular hotel brand. Designed as a boutique hotel, it is modern, yet feels warm and inviting. As we walked into the lobby of Hotel Indigo in Asheville, the stacked stone wall beyond the front desk immediately grabbed our attention. We were greeted by the friendly front-desk staff who checked us in quickly and efficiently. Our room was decorated with rich-colored wood flooring, an eye-catching accent wall that separates the foyer from the bedroom area, and beautiful glass subway tile on the walls in the bathroom. We left our car parked at the hotel during our entire stay, as Hotel Indigo’s strategic location allowed us to walk to numerous restaurants and shops (especially those inside the Grove Arcade). As dessert enthusiasts, Johnny and I took a special interest in viewing the gingerbread houses on display at The Omni Grove Park Inn. 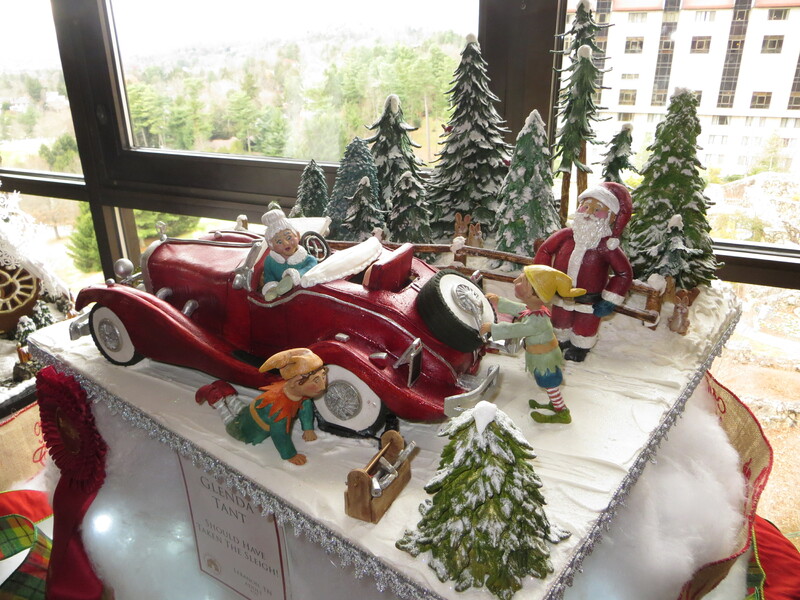 Each year, after the winners of the competition have been selected, the meticulously built gingerbread houses are set up throughout the hotel for the public to enjoy. This season, the event runs from November 20, 2013 through January 2, 2014. 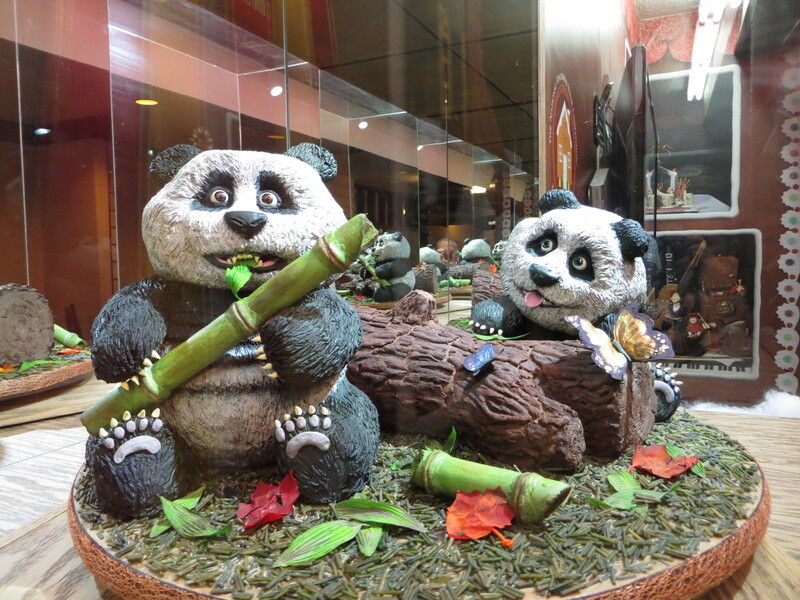 Please note, if you are not staying at the hotel, or have a reservation at the spa or one of the restaurants, then you may only come to see the display on Sundays through Thursdays. We definitely recommend picking up a map to help you locate the gingerbread houses and navigate your way through the resort. 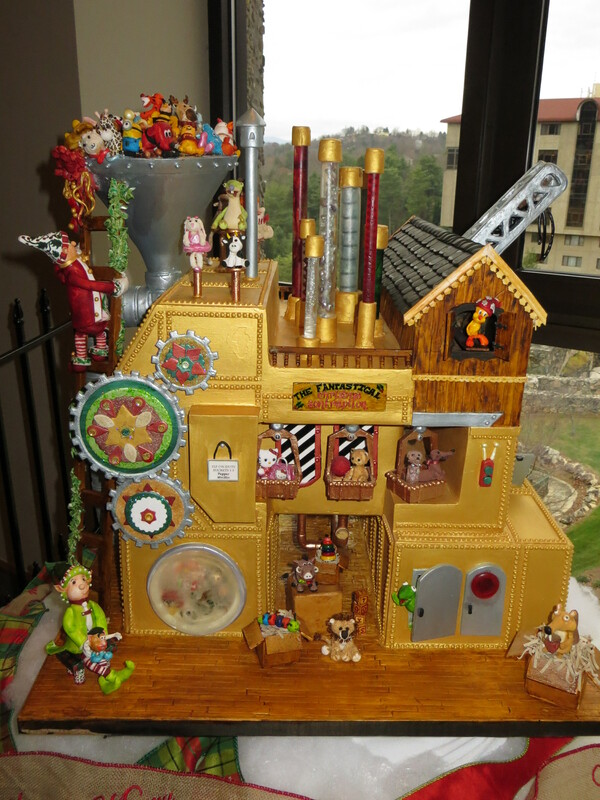 Aside from its gingerbread house competition, the historic Omni Grove Park Inn is a special destination in itself. 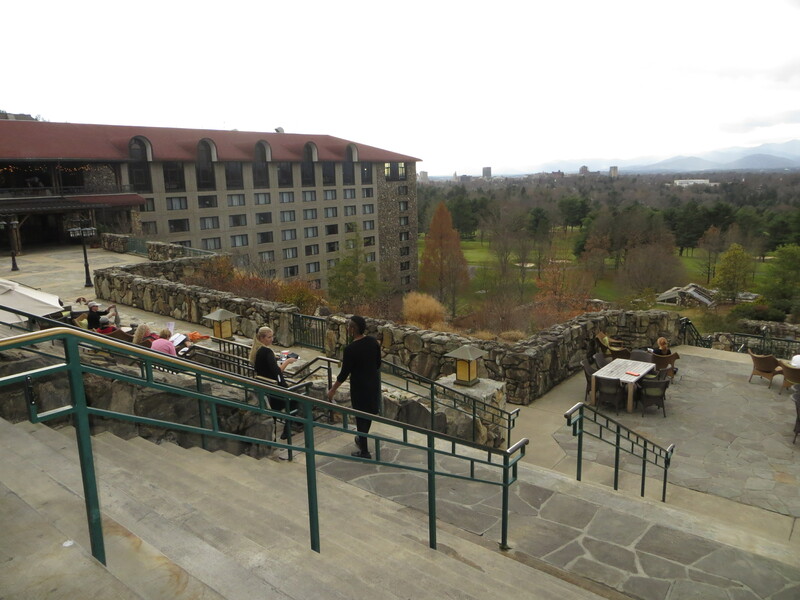 The structure was built out of granite, and it offers scenic views of the Blue Ridge Mountains. Having recently celebrated its 100th anniversary, it has hosted a number of US presidents and other famous individuals. 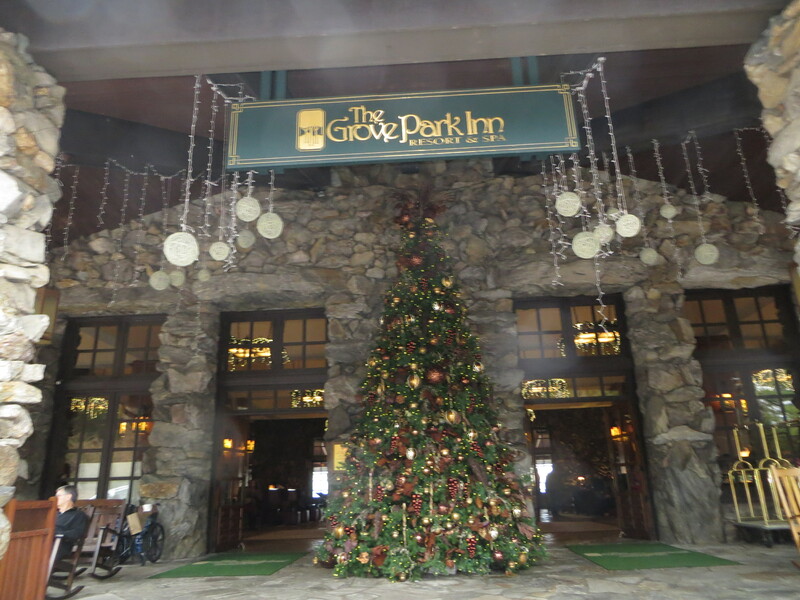 Johnny and I also had fun admiring some of the resort’s (approximately) 80 Christmas trees, picking out Christmas ornaments at its shops, and listening to a pianist filling the grand lobby with jazzy tunes. 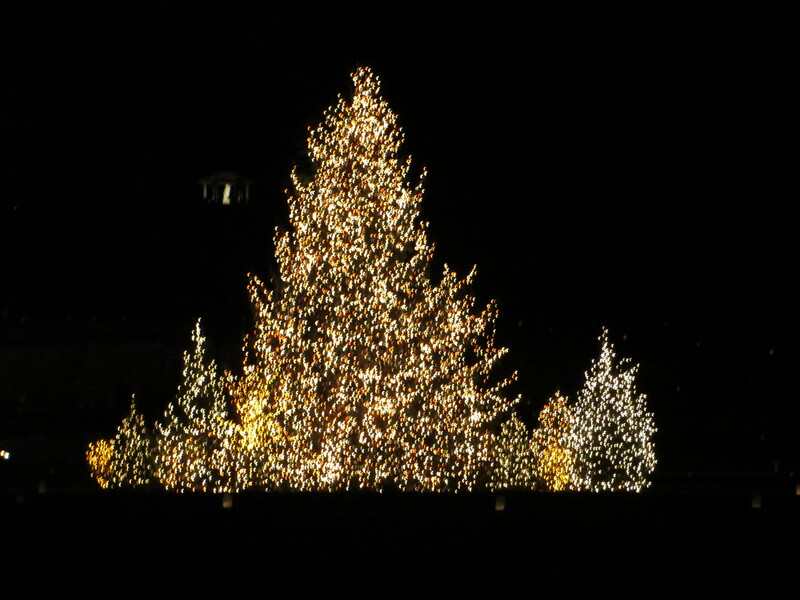 If you would like to experience the kind of Christmas celebration that the Vanderbilts had many, many years ago, then waste no time and head straight to the Biltmore House. 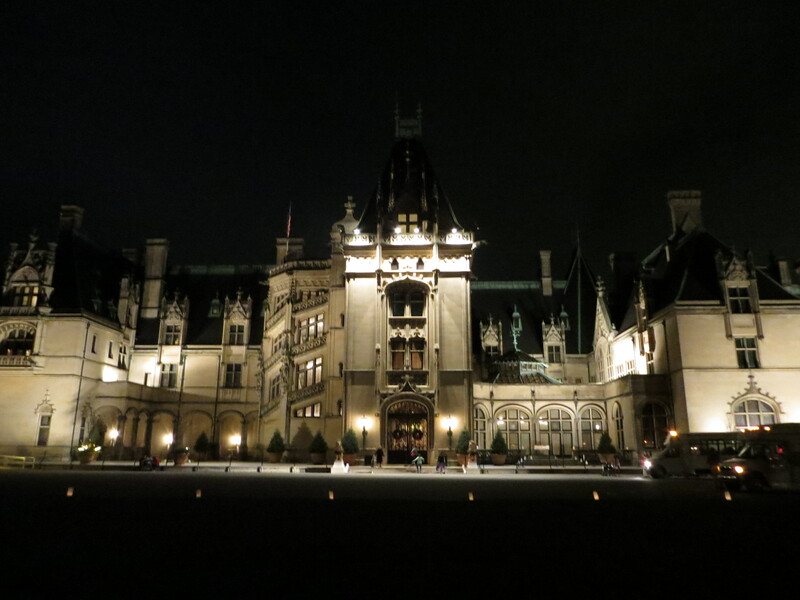 Johnny bought his timed ticket in advance over the internet to attend an evening self-guided candlelight tour of Biltmore House. The ticket also gave you access to same day or next day visit to the gardens and winery. No expense is spared when it comes to decorating America’s largest home. Since no photography is allowed inside the house, this page on Romantic Asheville’s website should give you an idea of Biltmore’s splendid holiday decor. Aside from the trees, ornaments, ribbons and bows, the sounds of Christmas could be heard throughout the house courtesy of live performances by various ensembles and choirs. Other festivities that took place at the estate during the holiday season include meeting Santa in Antler Hill Village, and making gingerbread houses with the guidance of a Biltmore pastry chef. 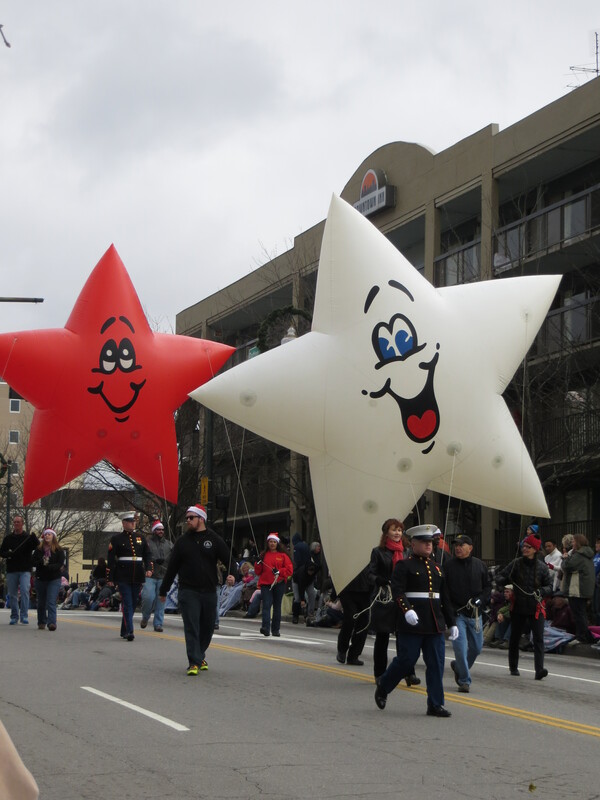 The week before Thanksgiving, the city of Asheville holds its annual holiday parade. On Saturday, November 23, 2013, Johnny and I woke up bright and early to watch marching bands, volunteers, and local businesses entertain the crowds in the downtown area. 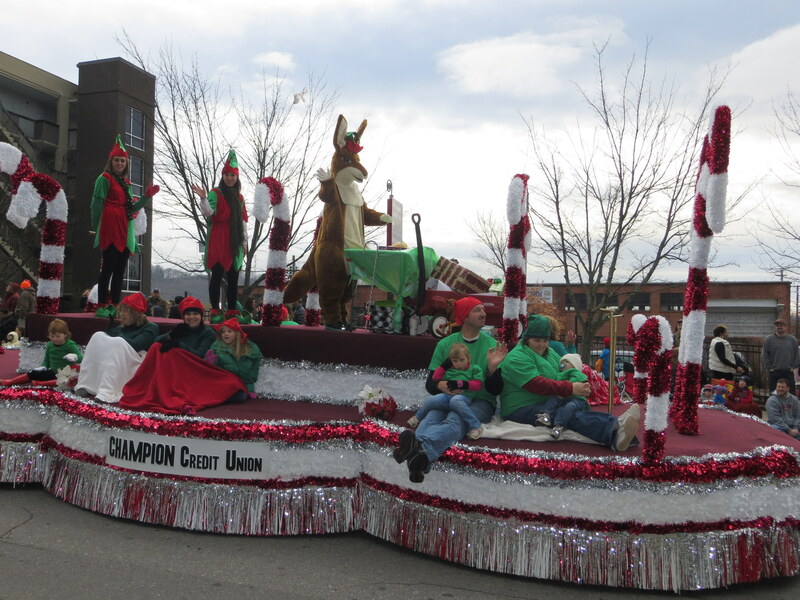 The Asheville Holiday Parade may not be as big as the NYC Macy’s Thanksgiving Day Parade, but it still put us in cheerful spirits to celebrate the beginning of the holiday season. 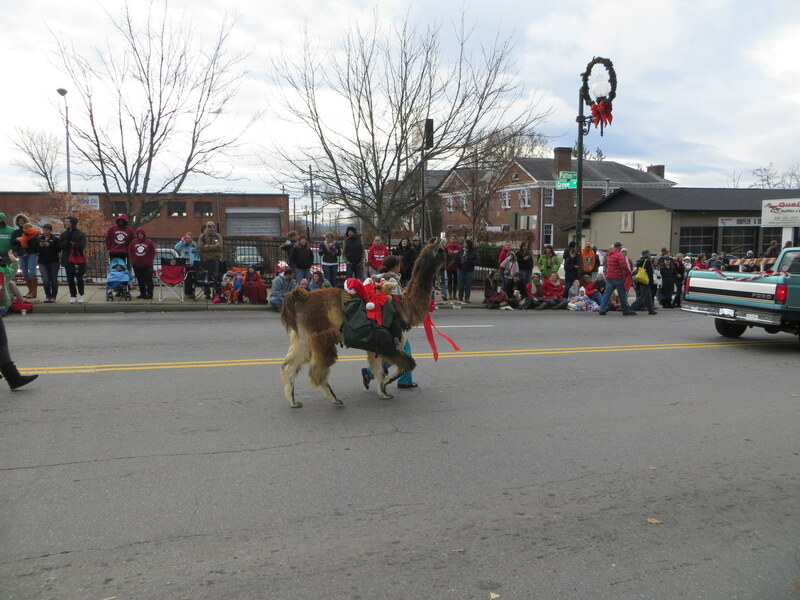 Even alpacas got to march in the parade! 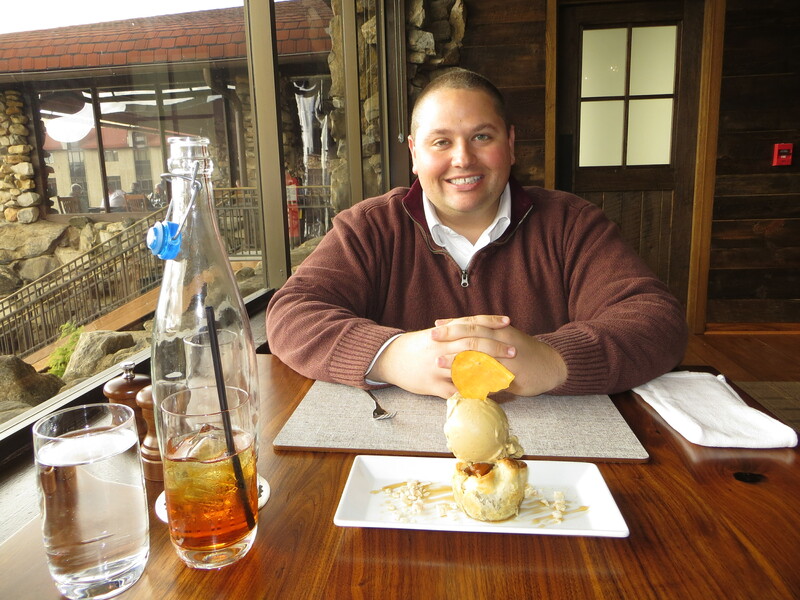 When I called The Omni Grove Park Inn’s reservation line, I asked the gentleman which restaurant at the resort has the best views. 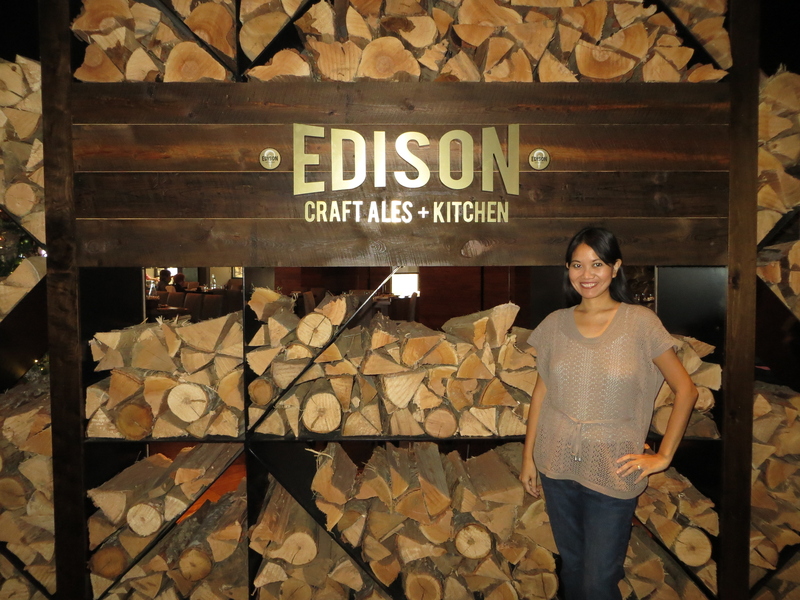 Without hesitation, he recommended that my husband and I try the recently opened EDISON Craft Ales + Kitchen. As luck would have it, we were seated right by the window, and we spent most of our time taking in the beauty of the mountain range. Johnny and I ordered fish and chips, fried chicken with waffles, and sweet potato pie topped with dried cherries and gingerbread ice cream. The pie with the gingerbread ice cream was our favorite, but I must admit that the prices of their entrees were a bit high (my fish and chips cost $22). 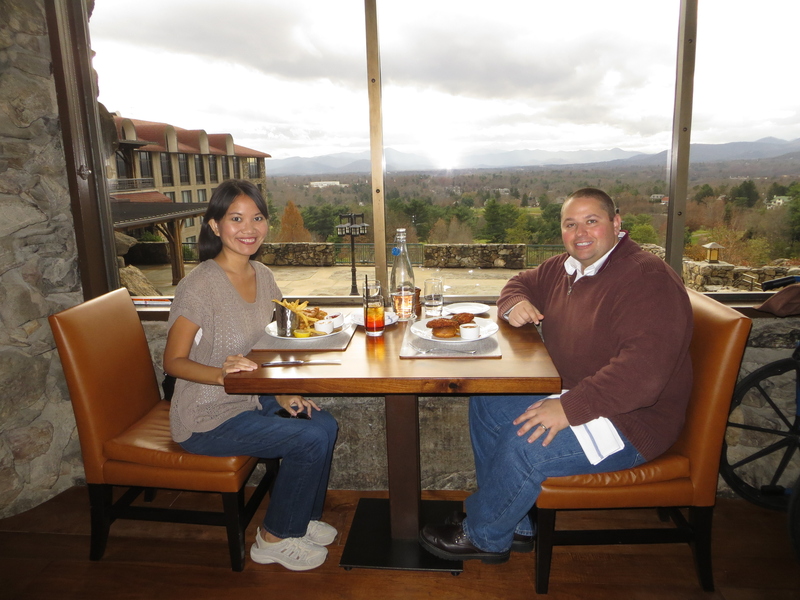 We enjoyed our mini vacation in Asheville, and it was a nice way to conclude our adventures for the year. We will be back in the future when the weather is warmer to do the various outdoor activities that this city has to offer. 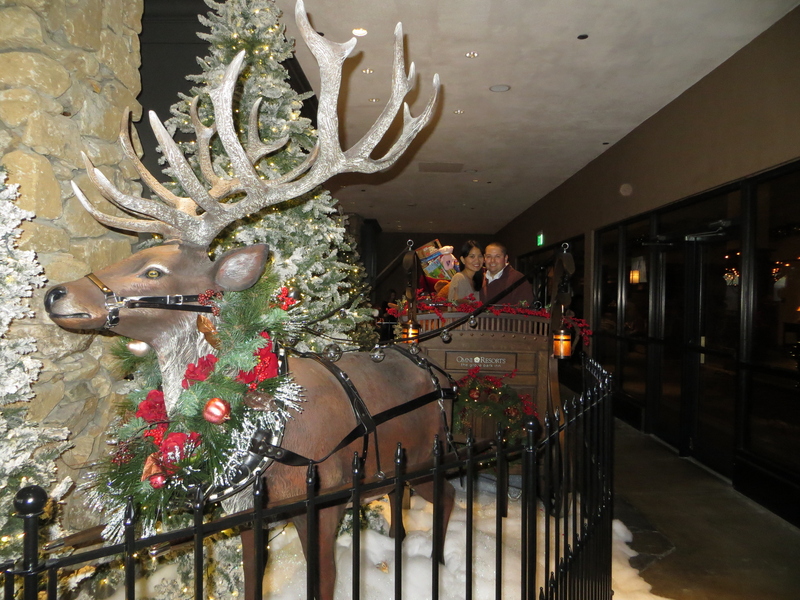 Have you ever visited Asheville for Christmas? When is your favorite time to visit the Blue Ridge Mountains?